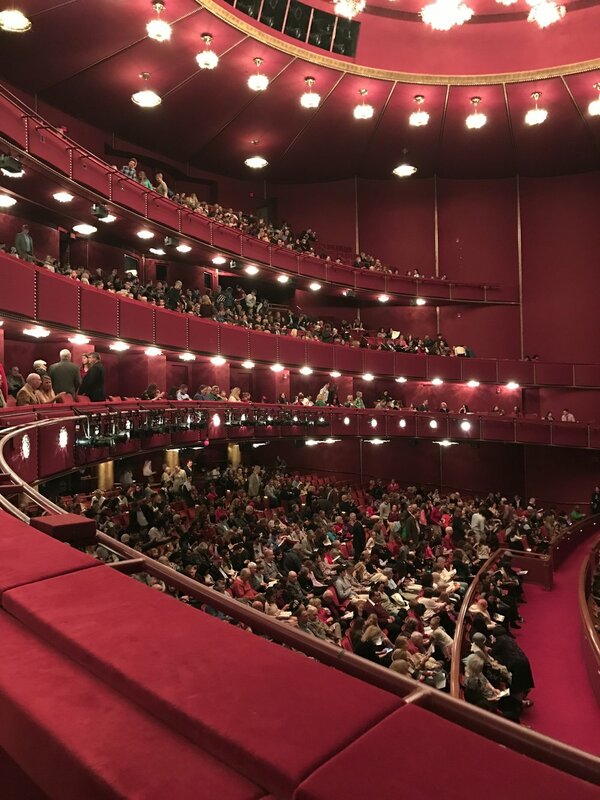 To kick off the holiday season, I went to see the Cincinnati Ballet perform the Nutcracker at the Kennedy Center. I was so impressed with not only the dancing, but the scenery. The set designs were spectacular (no photos to share because I respect the rules). The colors and details were well-done to say the least. The backdrops, costumes, and props were absolute perfection. Talented dancers were accompanied by the classic music we all know and love. The orchestra had clearly rehearsed every note because there was not one error (and I listen to a lot of classical music). I was so happy I took the time to attend their performance. Also, The Kennedy Center itself is stunning. I always love attending any event there. The entire location is beautiful from the ornamental ceilings to the marble exterior. If you ever have the opportunity to attend a show, or simply visit, I highly encourage you to do so.